Each of our product lines and areas of operation has a dedicated website providing detailed information. SoHoBlue is a sophisticated yet easy to use security system for small businesses. 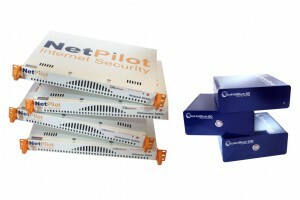 Using the very highest standards of internet security it offers a full range of protection for all the PCs on your network. Best of all it keeps itself automatically updated against the latest threats to your system, so you don’t need to spend time worrying about whether you’re protected. There are three desktop models in the range for up to 25 users: the SoHoBule-25; for up to 50 users: the SoHoBlue-50 ; and for up to 100 users: the SoHoBlue-100. 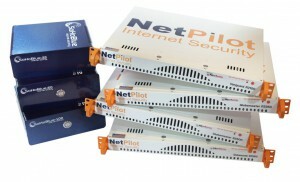 NetPilot and SoHoBlue units are automatically updated with the latest counter-measures against internet threats such as viruses, worms, trojans and other malware. For great multi-year deals on subscriptions and new appliance hardware click on 'more'.